Welcome to the great world of light by Casa Padrino, your baroque wholesaler from the beautiful city of Essen (Germany). Are you looking for a dreamlike desk lamp? Then you are exactly right at Casa Padrino! 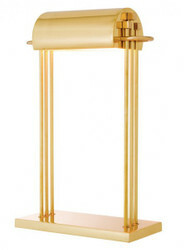 In fact, the desk lamps by Casa Padrino are very original and exquisite. 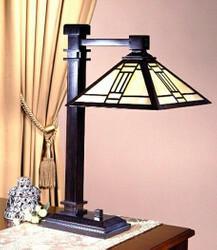 You will receive antique, baroque and luxury style lamps. With an unmistakable presence beyond their functional properties, these lamps add a classic charm to any ambience. Whether sitting at your desk at home or in the office, a Casa Padrino desk lamp is essential. In office work, the eye has to master complicated visual tasks and needs good light for it. The desk lamp is one of the types of lights that are available in a variety of designs, in different shapes, colors and styles. At Casa Padrino your imagination is almost limitless. In our online shop you will find a wide selection of different styles and colors. Always with the right mix of glamor and style. To get an idea about our products in our online shop is one thing. But it is even more fascinating to experience our desk lamps directly and to convince oneself of the quality on site. If you happen to be around Essen, we would be happy about your visit. In addition to the wide range of desk lamps that can be delivered right away, Casa Padrino also offers you the possibility of custom-made according to customer requirements. For further information about the complete offer just call us on + 49-201-36577485 and our qualified support will help you in every detail! Guaranteed! Casa Padrino, your baroque wholesale on the internet and on site.